RVing and camping in general should be relaxing. In fact, many of the rules that Floridays has posted are intended for just that purpose—to promote harmony and understanding. We’re always happy to enhance your stay, and in that vein we found an article that promotes just that. Rights and responsibilities, privileges and politeness—it seems more difficult than ever for people to get along with each other. This has even become evident when staying in RV parks, where you can often pick your site, but you can’t always pick your neighbors. 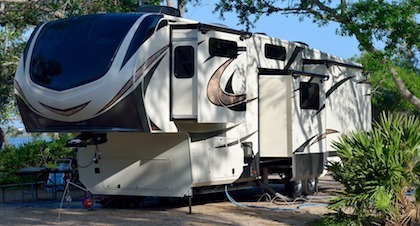 Although most campgrounds have posted courtesy signs and a set of easy-to-follow rules, there are many aspects that are left up to “common sense” and interpretation, and oftentimes, people just don’t know what to do. The article (see the full article here) explores Do’s and Don’ts from both safety and etiquette perspectives. Reviewing these should lead to a more pleasant experience, whether here in South Florida or at your favorite spot.